Wednesday, May 1st- 7-9 p.m. Learn to put it all togehter. A great next step after our FREE Beginners Program. One of the 1st 3 classes any Beginner should take. Free Beginner's, Fly Casting and Basic Knots and Rigging can easily get you out on the water and fly fishing in no time!!! This class is designed to teach you the basics of "putting things together". We will cover how you put together your outfit, how to properly attach leaders and tippets, basic rigging and will cover some basic knots. 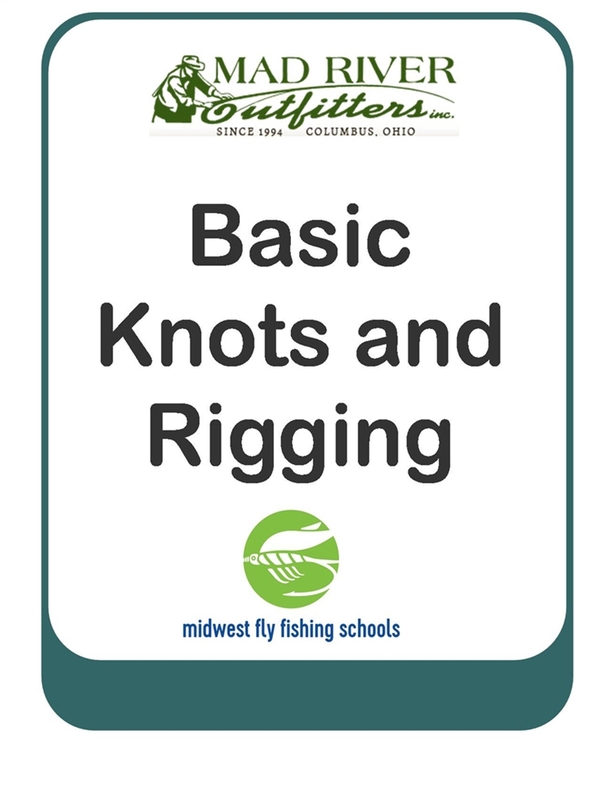 Will also go into basic rigging techniques for dries, nymphs and streamers as well as talk about some warmwater rigging techniques. * No equipment required and a basic handout that outlines the program will be provided. Class is limited to 6 students.